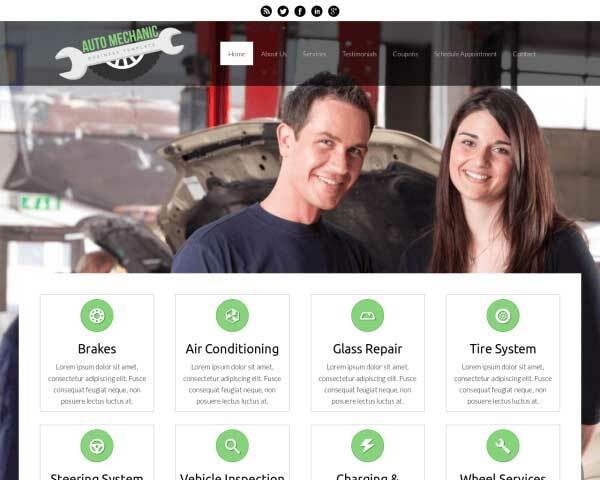 If you thought that building a professional website for your auto repair shop would be too complicated or expensive, the Car Service WordPress theme is designed just for you! Affordable and easy to customize and update, this pre-built website template includes features like online appointment booking and a contact page with map. 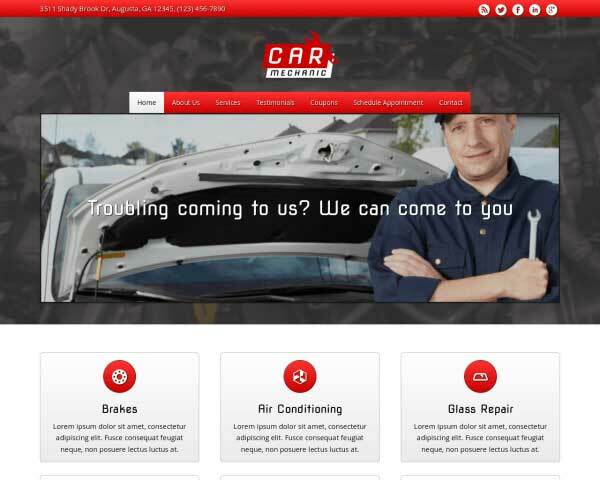 Sleek design, user-friendly navigation and helpful features like online appointment booking are just some of the reasons to build your auto repair website with the Car Service WordPress theme! 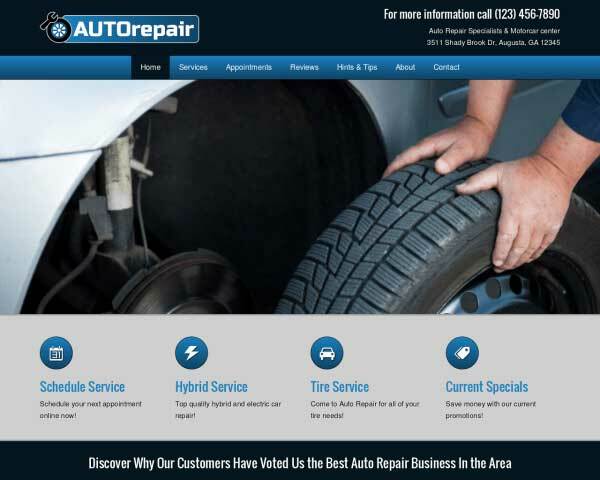 We've included pages already set up for your car repair and maintenance services, coupons, customer testimonials, sample blog posts and more. 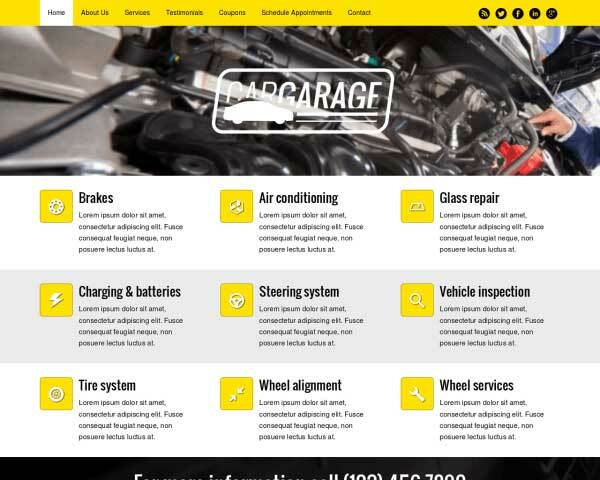 Creating a complete website for your garage is as easy as replacing the text and images with your own. Customizing the color scheme or adding new content is easy too with our unique front-end editing tool. No coding skills or web design experience are required! Take advantage of integrated social media options and our built-in SEO manager to help get the word out about your business and attract new customers online. 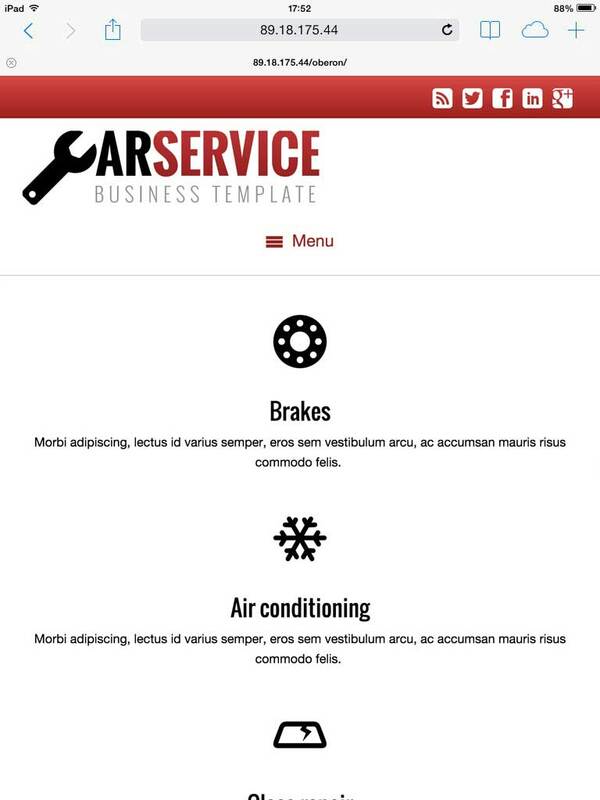 Try this pre-built website template absolutely risk-free for three days and find out for yourself how the Car Service WordPress theme saves you time and money in getting your professional website online fast! 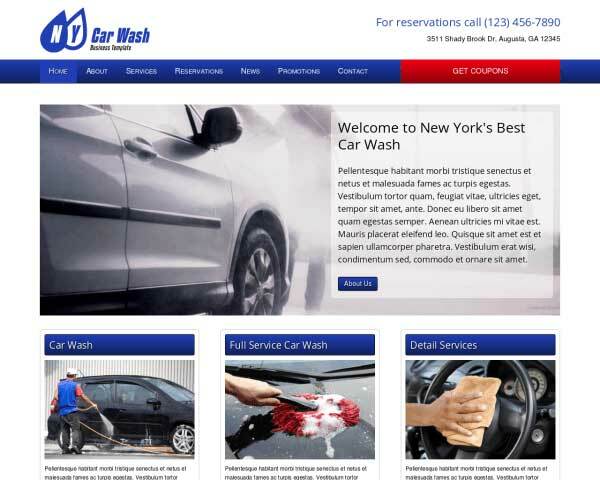 The Car Service WordPress Theme comes with a built-in booking form, allowing you to take appointments online even outside of business hours. 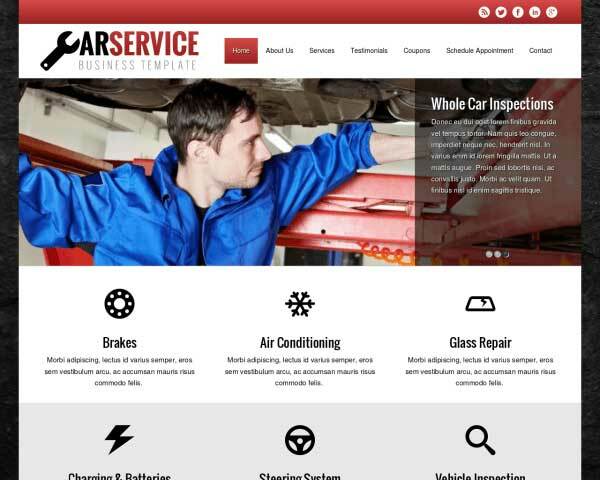 The Car Service WordPress Theme was made specifically with the business needs of service station owners in mind in order to ensure the best match for your website. On every page of this WordPress theme for service station owners, visitors are encouraged to take action and get in touch. Mobile visitors can just tap on your phone number to dial. The Car Service WordPress Theme features a beautiful image slider where you can upload your own images. Type in your own captions and use custom buttons to link to pages on your site. 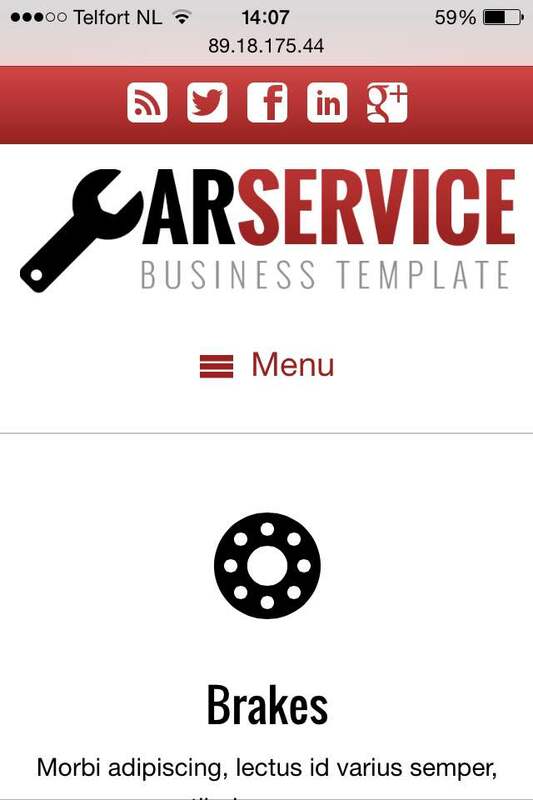 The contact page on the Car Service WordPress Theme is set up with space for your contact details, an integrated Google map and a route planner. 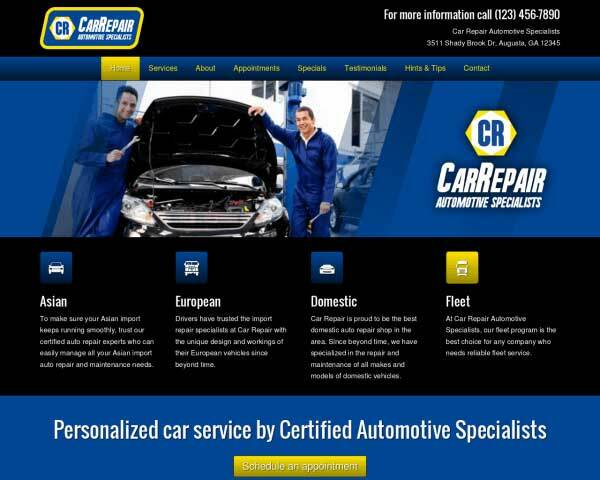 The Car Service WordPress Theme comes with a page for coupons and promotions. Images and buttons can be linked to a PDF file that customers can download or print. 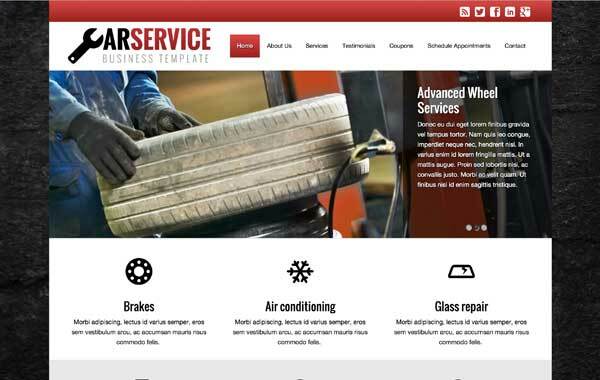 With the Car Service WordPress Theme you have a quality tool to create elegant and appealing service detail pages with above-average layout and styling. You won't lose time searching for plugins when this Car Service WordPress Theme comes packaged with icons for popular social media platforms as well as Facebook and Twitter widgets. 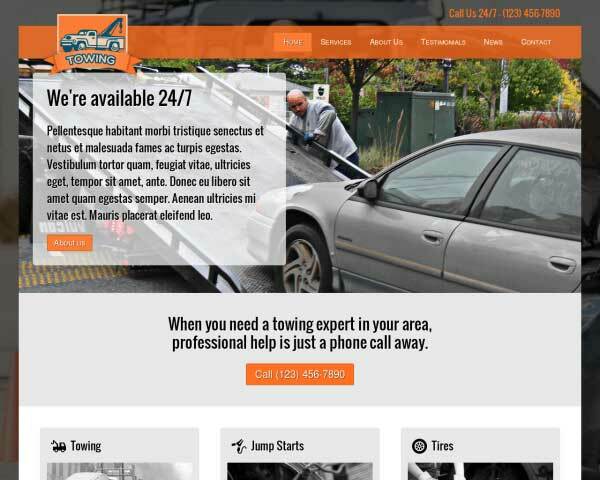 On the About Us page of the Car Service WordPress Theme, share your story and introduce your staff. This personal touch can make the difference for clients in choosing your team. 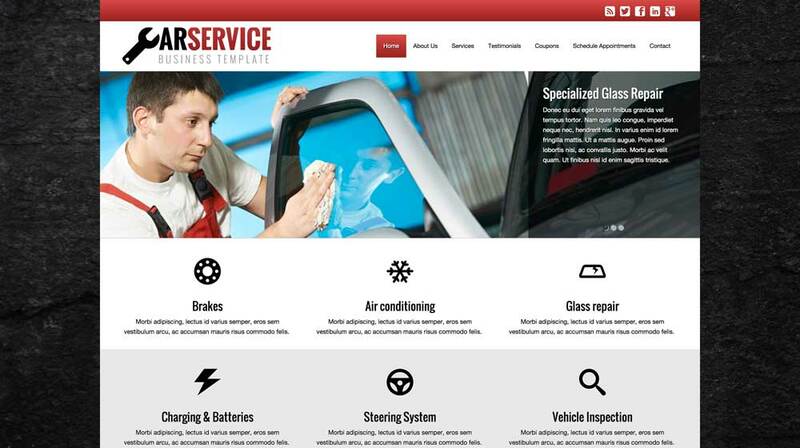 Building your car repair business website with the responsive Car Service WordPress theme is the easiest way to make sure that you'll make a great impression online even on small screens. When visitors use smartphones or tablets to view your pages, our mobile-optimized design will automatically adjust your content to display neatly based on the capabilities of each device. No extra effort is required! Mobile visitors will enjoy the same professional look and functionality of the desktop version of your website, plus the added convenience of simply tapping your phone number to dial.